Sandy Burkett, author of the Sjodry and Parched blog, recently published a post that discussed her impression of the most recent Sjogren's Syndrome Foundation National Patient Conference in Bethesda, Maryland on April 12-13. The title of her post is "Validation in Sjoggie Nation!" GREAT title, by the way.. It's a good read. Head over and check it out. I was especially interested since I've had a Moisture Seekers newsletter sitting on my desk for a month now. 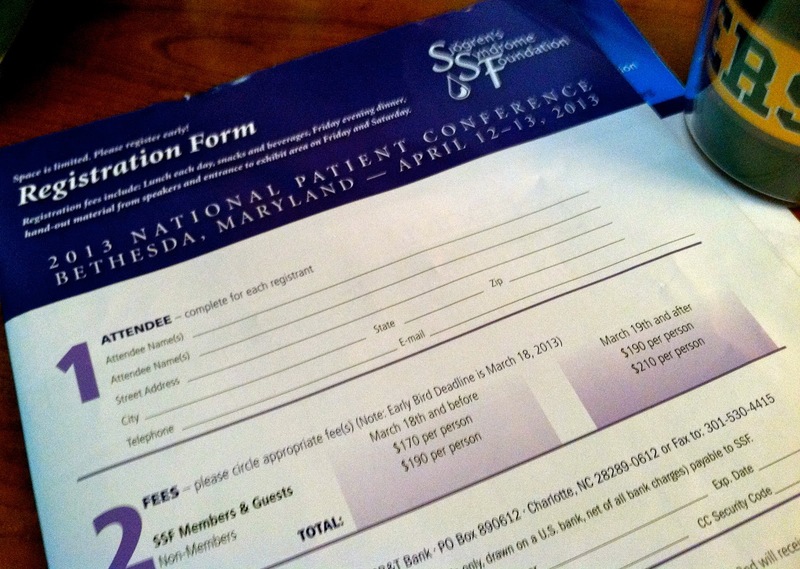 I've been wistfully looking at the registration form on the back cover for the SSF National Patient Conference. I knew that even if I had wanted to take the time and expense to attend, that it wouldn't be possible for me this year since it fell smack dab at the end of my rituximab cycle, meaning that I simply wouldn't have had the energy to travel that far and once arrived, would have been so fatigue loopy that I wouldn't have remembered a thing. I would have been right at the mousie snout on my rituximab energy graph. The snout is NOT where I like to be. What I did not expect was the feeling that I left the conference with. Yes, I enjoyed the conference and I really enjoyed meeting other Sjoggies there. But something far more meaningful happened to me there. After 53 years of battling an invisible illness and all of it’s many systemic manifestations in my body (that I had no name for until recently), I received validation. VALIDATION that I have not been and am not crazy, neurotic or worthy of a DSM V mental health diagnosis. And here I have felt as if I was the only one on this sick, lonely road. How true. When I left the conference in Phoenix, I felt as though I had found several hundred long-lost relatives. And that we could all hang around for the weekend chugging from our water bottles, dropping our eyes, and talking about our other relative -- that crazy old Aunty Sjogren's. I'm looking forward to seeing when and where the next national conference takes place. I'm thinking that I'll be there. I have never attended one of these conferences, but would like to in the future, energy permitting. Especially would love to meet you, Julia, you are such an inspiration to me. I tend to get discouraged, but your daily posts help me know I'm not the only one with this unfortunate ball and chain. Off-topic, but it occurred to me today that if the medical establishment treated lupus the same way it does Sjogren's, lupus patients would hear about nothing but the latest facial cream! I can deal with the dry eyes, dry mouth and stomach problems (so far!) it's the constant fatigue that is making life miserable! 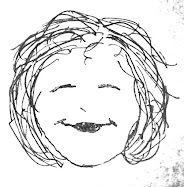 Thanks so much Anita -- I would love a chance to meet up with our Reasonably Well community sometime too!